Buying a car is that you may need if you want to have a more convenient means of transportation. In choosing the right car, the first thing you need to do is take into account the budget you have to you can use to buy a car. In buying a car, if your budget is not adequate, you can choose to buy a used car. Today, buying a used car is not a bad choice. You can buy a used car with conditions that are unsuitable for use, so you can use the car comfortably. Unlike new cars that are still in very good condition when you bought it, used car has been in use for some time, so the chances of one of the components in the car is damaged, it is very large. To avoid losses you might receive, you need to be more careful in buying used cars. Here, we will discuss a bit about a few things to note before buying a used car. In choosing the used car you want, you need to pay attention to the car body. Body of the car is an important component that you need to consider before buying a used car you choose. Before you buy a used car, you need to check your car's body is. Make sure the body of the car itself is not in the former dents or patches of putty. - It reads loud when tapped. - Paint color is still the same in all parts of the car. - The paint is still original suit factory default. If you want a used car that meets the above criteria, then the body of the car is still quite good. Another thing you need to consider as well is the car engine. Make sure all parts of the machine in normal circumstances. Used car that still has a good condition, which many in the market, are the cars produced by Toyota. 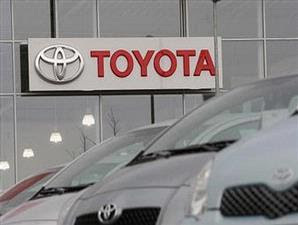 Car with the Toyota brand is famous stubborn and have a stable sales prices. We'll see an example, Toyota Kijang any series, Toyota Avanza, etc.. The cars even though the former condition still remains a hunt many people who want to have a used car with good quality. In addition to good quality, car produced by Toyota is also known as the spare parts are still available for any type. Although the car that you have is a year-old car output, auto parts are still available on the market. So you do not have to worry if one day your car is damaged.